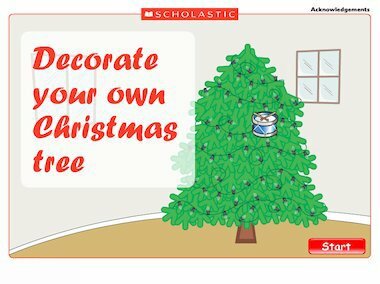 Drag and drop the decorations on to the tree to create your own Christmas tree. When you added all the decorations to the tree, turn the lights on and watch your creation glow! The light switch dosn’t seem to work for me?